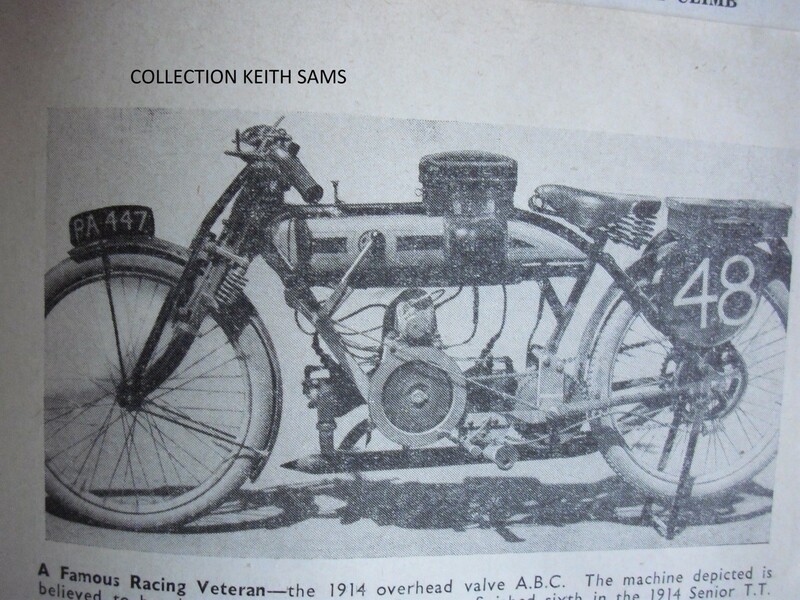 There's some history in this photo from Keith, who says that it is Emerson's 1914 Senior TT machine. Registrar David adds that with the PA 447 works number plate, it would have had the OHV engine, not the IOE engine fitted to the Tourers. 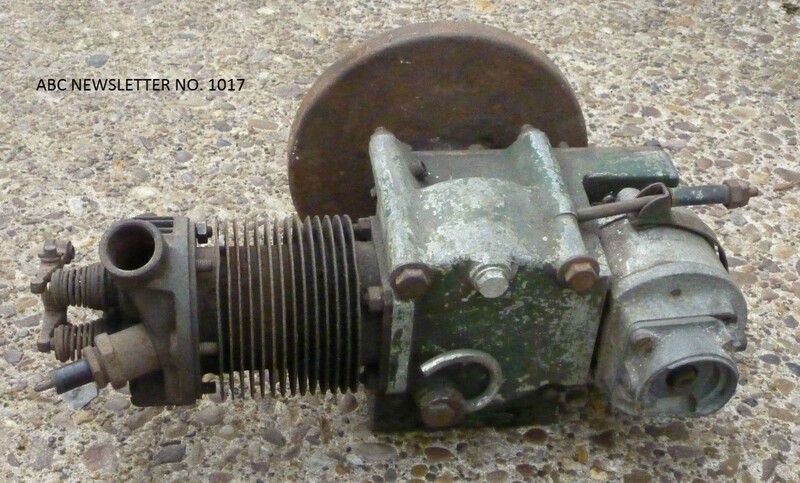 The Armstrong three-speed hub gearbox can be seen in its uniquely-ABC 'midships position. Anyone with a 1914 TT Programme could easily identify who rider number 48 was: if not J. Emerson, it was probably E.H. Lees. Can every cloud have a base-metal interior after all? If Andrew's machine hadn't misbehaved itself in October, he might never have stripped his engine, and discovered that its pistons had been replaced by components from a K*w*s**i! A look through the dossier that came with his machine established that the pistons were indeed from a Zephyr model, and that in fact they form far better alternatives to those from a Hillman Imp: the compression height is very nearly the same, the gudgeon diameter is only 2 mm. larger, the bore of 68.9 mm. could be eased down to provide a cosy fit in slightly worn cylinders, and lastly, their weight is only a few grams greater. The catch is that they are sold only in sets of four! Anyone for doubles? Andrew will be happy to oblige, but requests a deposit of £300. Part of the high cost is down to the smaller bevel gear being integral with the gearbox mainshaft, quite an intricate part in its own right. This little engine was spotted on eBay a month or two back by Keith. Word of it rapidly travelled via our Association to Peter, who duly bought it. The exciting thing to Peter is that he thinks it could be the original engine from his Skootamota! Parts of his 'mota had been overpainted with the exact green colour to be seen on the engine above, whereas the engine that came with his 'mota showed none. His V5C numbers all tally well enough, but what does that prove? Unfortunately, his machine does not appear in The Register, and the number on his new motor has been filed out. Does anyone have experience of 'raising' deleted numbers?